A new UK network to help nurses to become more sustainable has launched today – thanks to input from academics at the University of Plymouth. The Green Nurse Network, led by the Centre for Sustainable Healthcare (CSH), is now available for students and practising professionals to consult and keep up-to-date with the best sustainable nursing practice online. The resource has been developed over the last two years by the CSH in collaboration with Plymouth’s Faculty of Health and Human Sciences, the Royal College of Nursing and Medact, and offers a range of activities to support the development of sustainable nursing practice. provide a central hub for the sustainable nursing practice programme. The launch follows that of the University’s European nurse education sustainability initiative – the NurSus TOOLKIT. A collection of research-led resources, the TOOLKIT is designed to help nurses and health professionals throughout Europe embed sustainability into their teaching and learning; offering lectures and activities that can be adapted to meet the needs of students studying subjects such as geography, design, nursing, midwifery, environment, public health, and health planning and management. “This is an initiative which addresses an issue which is important and critical for all of us. I’m delighted that we now have a way for nurses who are taking the risks to health from climate change seriously to cooperate and share best practice. 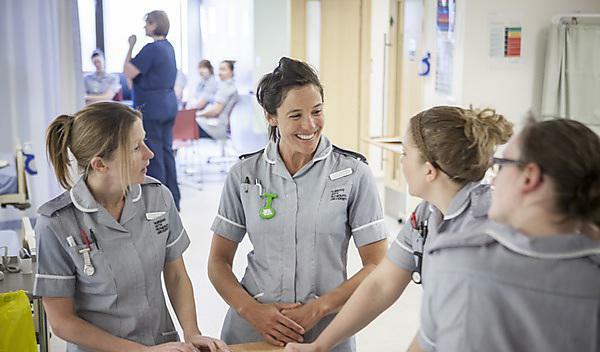 The Royal College of Nursing is committed to supporting nurses, students, and nurse educators to develop sustainable approaches to clinical practice and to provide excellent prevention and care to patients suffering as a result of heat waves and floods.